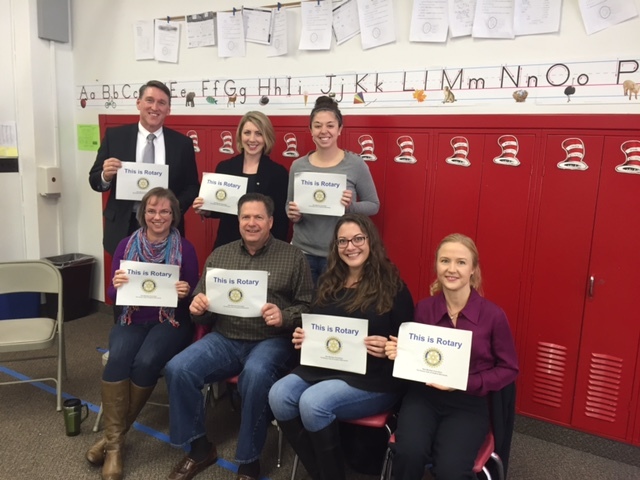 Hopkins Rotary & the Hopkins Rotary Foundation want to make sure every child has a bed to call their own. The Depot and Hopkins Rotary teamed up for a Hopkins Youth Fundraiser to support both the Depot Youth Entrepreneurship programs and Scholarships for Hopkins Students. This was the first year for the Rock N' Roll Raffle which was named to celebrate the Depot's amazing music venue located on the Hopkins bike trails. Rotary and the Depot worked together to select prizes, coordinate ticket sales and more. This first year the Raffle had a profit of $3,500, but it's never just about the fund's raised. Bringing organizations like the Depot, Rotary, the HBCA and others was the big accomplishment. Our hopes are to return next year for an even bigger and badder Rock N' Roll Raffle. The $1,200 gift certificate to Bongos and Buds for Yamaha music gear was generously donated by a Hopkins Rotarian. They purchased portable speakers for outdoor sports events and music with some really talented young DJ's. Big thanks to everyone who purchased tickets. 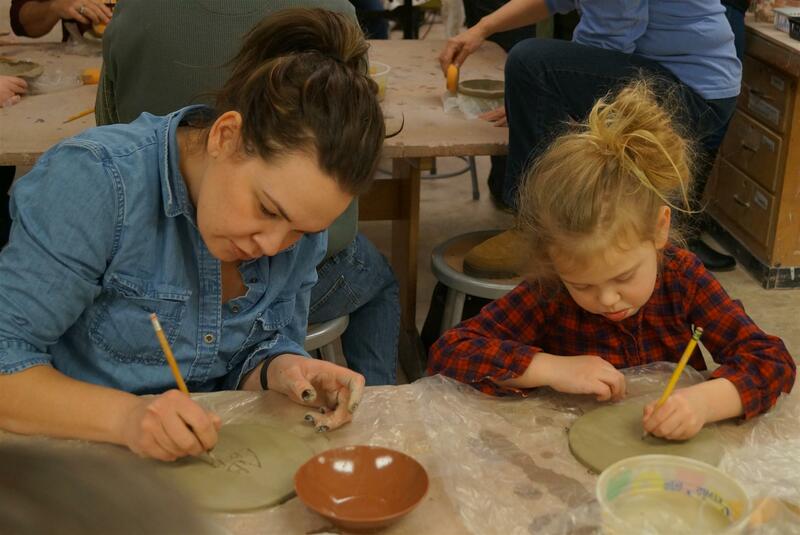 Your supporting an event that has no operational costs and because the Scholarship dollars art through the Hopkins Rotary Foundation, there is more than a 100% contribution getting back to Hopkins Student Scholarships. Big Thanks to the Super Rockin' Young Leaders of The Depot Board including The Depot Project Coordinator, John Guertin. Big Thanks to all the leaders of this fundraiser. Hopkins Rotary & Depot Coffee House present the Rock'n'Roll Raffle! Raffle tickets are only $5!! The drawing will be held on August 18, 2016, 8:15 p.m. at Hopkins Summerfest in Downtown Hopkins, emceed by Elvis Presley! Visit us at Hopkins Summerfest! Visit Hopkins Rotary TODAY, July 14 (11:30 a.m. - 1 p.m. & 7-9 p.m. ) at Hopkins Summerfest! Live music by Alison Scott and delicious eats provided by Hopkins Lions and Hopkins Activity Center! I was proud to represent Hopkins Rotary Club at the the Hopkins High School Senior Scholarship Presentation Night as we honored the James M. Hance Memorial Scholarship winner, Julie Uwineza and the Hopkins Rotary Club Scholarship winner, Madeline Buckner-McCurdy. These young women never cease to amaze us and we can't wait to see what incredible things they do in the future! 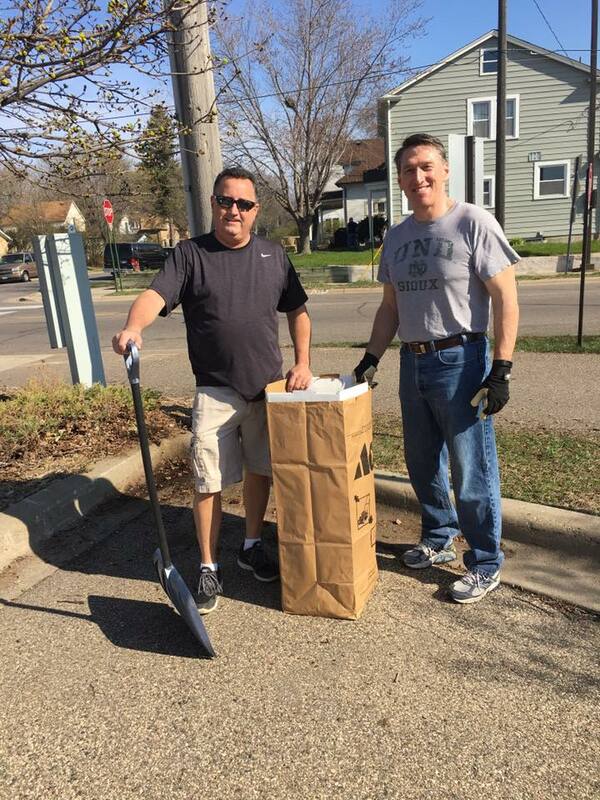 Thanks to all who came out and helped with the annual cleanup of the Rotary Oasis in downtown Hopkins. We had gorgeous weather, worked hard, and wrapped things up with tasty beverages! Check out the photo album to see more pics. 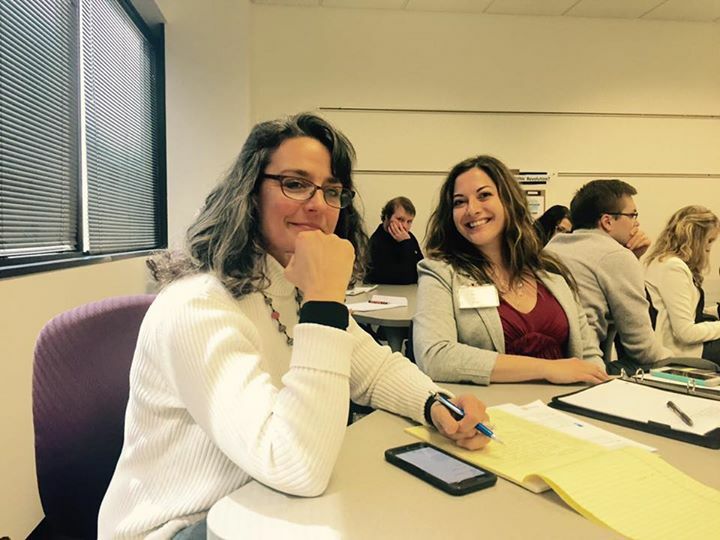 President Angela Schatz, President-Elect Suzanne Lundeen-Abrams and Secretary Julie Hance joined fellow Rotarians at the District 5950 Assembly on Saturday, April 10 for a day of learning and brainstorming about how to make our club even more fun and exciting! What a great experience it was to be one of nearly 400 attendees at North Central President Elect Training in Rochester, MN last weekend. I'm inspired to lead the club as we head into The Rotary Club of Hopkins' 79th Year. Having been part of the club for 11 years, I've gotten to know our elders and I'm passionate about engaging the next generation of Rotarians to continue our club's longstanding Legacy of Service Above Self. 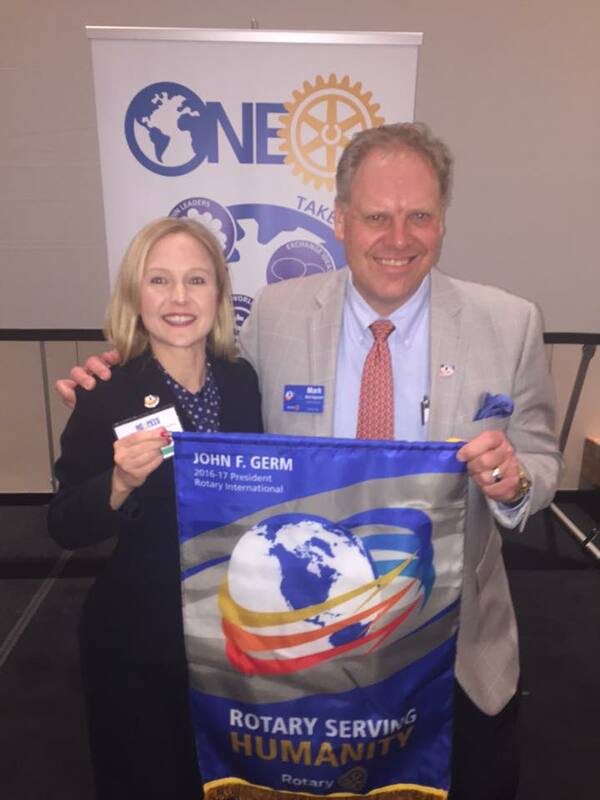 Here's a photo of me and District Governor Elect, Mark Hegstrom, as I received my Banner for the 2016-2017 Rotary Year. Please click on Read More to hear more about #NCPETS and my goals for the year ahead! Hopkins Rotary supports Clean Water in Cuba! Hopkins Rotary pledged $500 in conjunction with several other area Rotary Clubs for a Cuban Filtration Water Project. 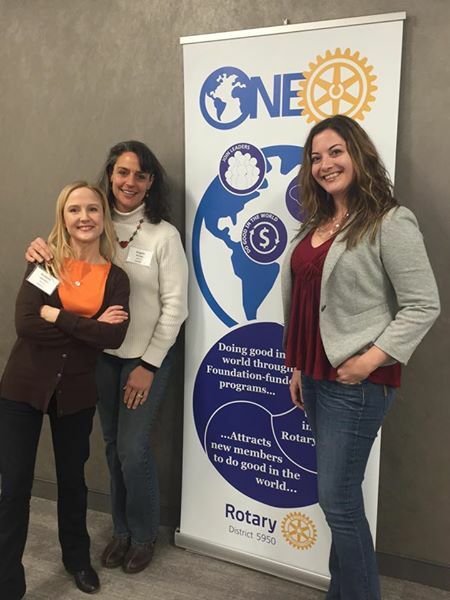 Speakers today, Rena (left) and Susan (right) informed the Hopkins Rotary what they were doing and how they were accomplishing bringing safe water to those in need in Cuba. With the help of Corporate sponsorship, such as 3M, the project is underway and expanding. Also pictured is Mark Hegstrom, incoming District Governor, who shares a passion for this project to deliver clean water through sustainable methods, such as this. Meet the newest Hopkins Rotary Members! We are thrilled to welcome you to our Hopkins Rotary Family and will enjoy working side-by-side with you to "do good" in this world and live by the 4 Way Test.